The power for the circuit joins the light fixture F1 via the cable C5. 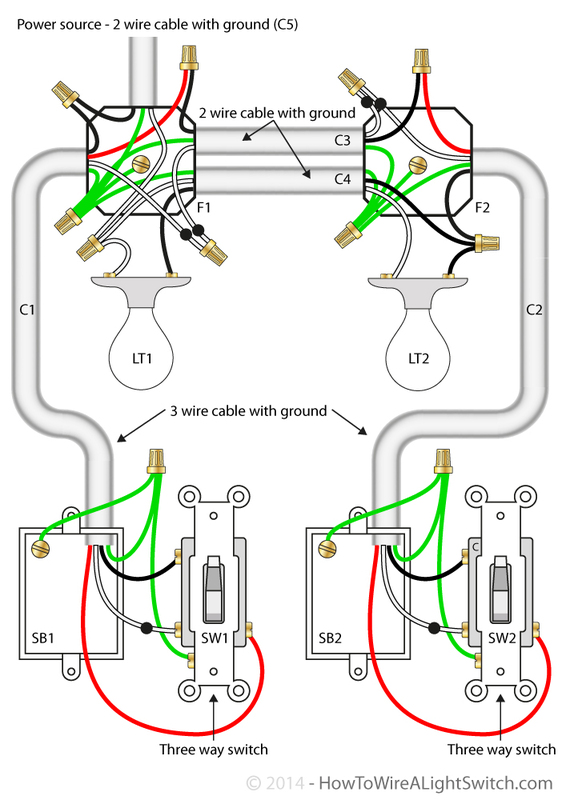 The neutral connects to the light (LT1) and is spliced through to LT2 via the cable C4. The hot from the power source is spliced through to the common terminal of the switch (SW1) via cable C1. The travelers from the switches, via C1 and C2, are spliced through the fixtures,and joined by cable C3. The hot to the lights comes from the common terminal of SW2 via cable C2 where it is spliced to the hot of of LT1 via cable C4.